Buy discount tickets for George Lopez when they become available. Lowest prices, best seats right here! Aces of Comedy brings George Lopez to the Terry Fator Theater at Mirage for a limited run of heavy-hitting comedic performances. 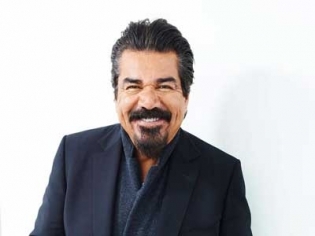 One of the most successful comedians in the business, George Lopez is best known for his sitcom and late night television show. His brand of hilarity stems from his Latino heritage and encompasses politics, stereotypes, cuisine and family life. His personality is engaging and you will be laughing so hard your sides hurt at his infectious humor. Catch this limited residency at the Aces of Comedy Tour in Las Vegas. George Lopez was voted one of the top ten favorite Tv personalities. 2019 Dates: Friday June 14 and Saturday June 15 at 10:00 pm, Friday August 30 and Saturday August 31 at 10:00 pm.